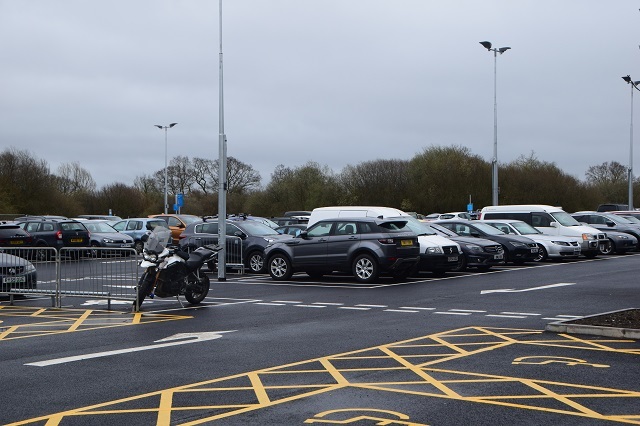 The extended car park at Westbury Station was officially opened this afternoon. It now boasts just over 150 spaces and since being brought into use a few weeks ago is already being well used. 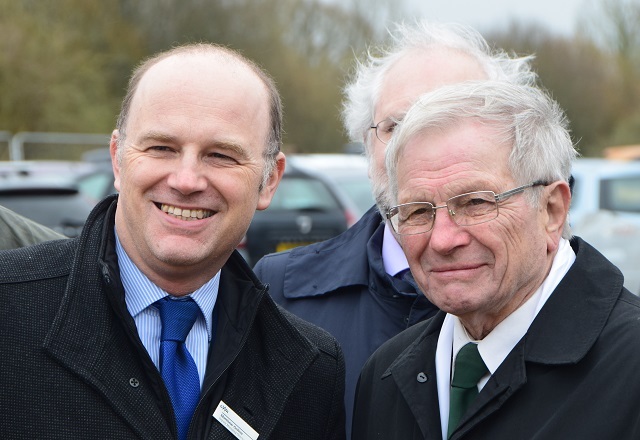 The opening ceremony was carried out by Matthew Golton (Deputy MD - GWR) and Horace Prickett (Portfolio Holder for Transport - Wiltshire Council)accompanied by representatives from local rail groups and Square Bay, the developers of the nearby housing development who helped to fund the work. Just one pedantic point, which always annoys me, 23:59pm? Also incredibly unhelpful, seeing as the last train back from Bristol arrives at 0008. The sensible thing to do is extend it to 1am after the last train has stopped at the station. 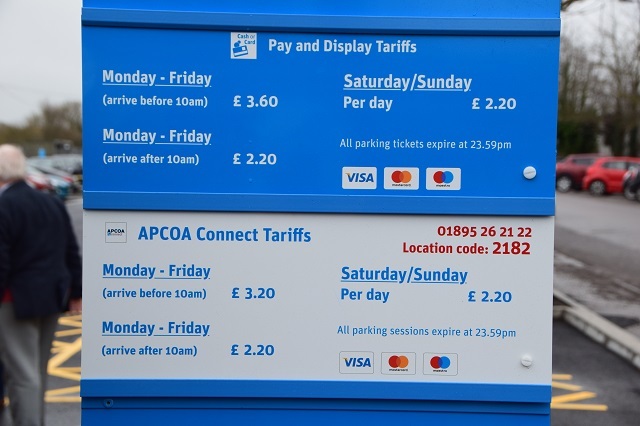 Thats interesting because the APCOA parking rule at my local station is 24 hours from the time you pay. Same here if you pay by phone, but not if you pay at the machine! Ah. I'll have a look at the sign next time I go down. It doesn't say that on the sign it just says it on the email/text confirmation or on the App! It appears that there are even more additional parking spaces on Platforms 2 & 3 ! !